Mid-Ohio Valley Bulk Transport is a Haz-Mat carrier that operates a fleet of 60 tractors fitted with pneumatic blowers and nearly 200 trailers. 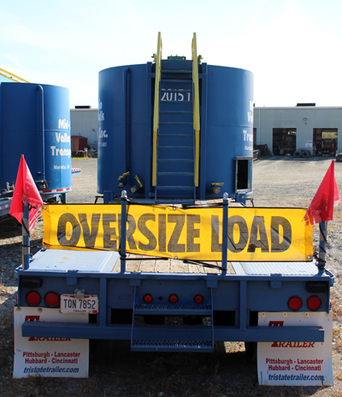 The majority of the trailers are bulk pneumatics utilized in dry bulk transportation. The trailer fleet also comprises of deep-drop liquid tankers, van trailers, and flat beds. We currently are running over 150 dry bulk trailers. Most of which are dedicated to the lime industry. Our trailers range in size from 1050 cubic feet to 2000 cubic feet. In addition to pneumatic unloading we also have many trailers that are capable of gravity bottom dropping, some exclusively.